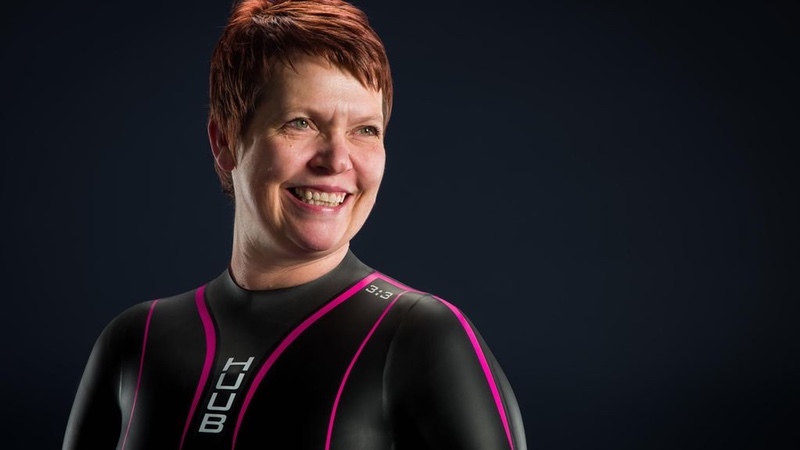 HUUB Design, the wetsuit, triathlon clothing and accessories specialists, has welcomed inspirational triathlete and author, Caroline Bramwell, to its family of sponsored athletes, alongside the likes of pro triathletes the Brownlee brothers and Helen Jenkins. Caroline Bramwell’s story of turning to triathlon after being housebound and hospitalised with Ulcerative Colitis, to having major surgery to have a permanent ileostomy, demonstrates a determination to embrace life and push personal boundaries. She is the author of the newly released autobiography ‘Loo Rolls to Lycra: The Ironman Dreams of an IBD Sufferer’. HUUB notes that… Caroline represents the ‘everyday’ person who enjoys being active and taking part in the ever-growing sport of triathlon and is inspiring others to get out and try some swim, bike, run! This is at the heart of the HUUB brand; making triathlon accessible to everyone. Dean Jackson, owner and founder of HUUB Design said “It’s Caroline’s ability to overcome barriers, remove the hurdles of participation and get stuck in that appeals to us. Here at HUUB we care as much for participation as much as research and supporting the world’s elite. Triathlon is a sport for all; and our past ventures with inspirational triathletes such as Bailey Matthews, Phil Hogg, Joe Townsend and Hannah Cockcroft MBE has taught us no barrier is too high where desire to compete and win burns within.